Valentine's Day is tomorrow, and you know what that means: bitter disappointment fruitlessly displaced with technology. (That might just be me.) 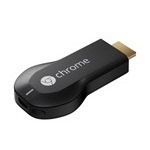 Google's got you covered on the second part, at least if you have a Chromecast. A new visualizer option for Google Play Music ditches the bars and equalizers in favor of a looped video of a cozy fireplace. You'll have to supply your own music, of course. The visualizer isn't on by default, but it's easy enough to enable. 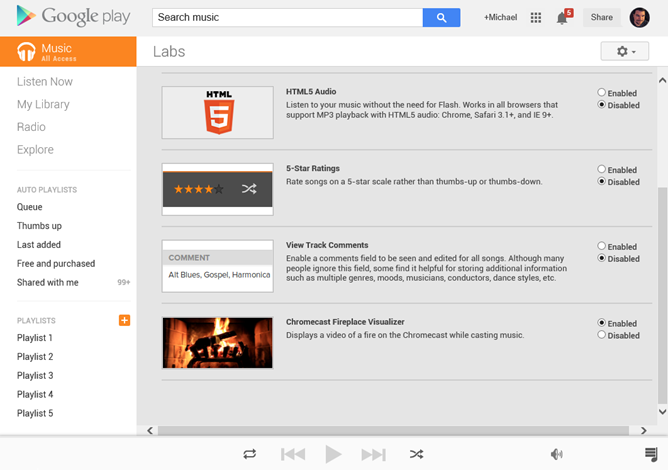 Just go to Google Play Music on the web, hit the "settings" gear icon, click Labs, and change the "Chromecast Fireplace Visualizer" to Enabled. Of course, it's no replacement for the real thing - you'll only get as much heat as your super-efficient LCD television can put out - but it should help you set the mood if you don't have the real thing. Now all you need is a bearskin rug and a box of fine wine. This isn't Google's first foray into the arena of cheesy fireplace videos: they had a special fireplace YouTube channel for the holidays. This one seems a little better since it takes up the whole screen, which makes more sense.